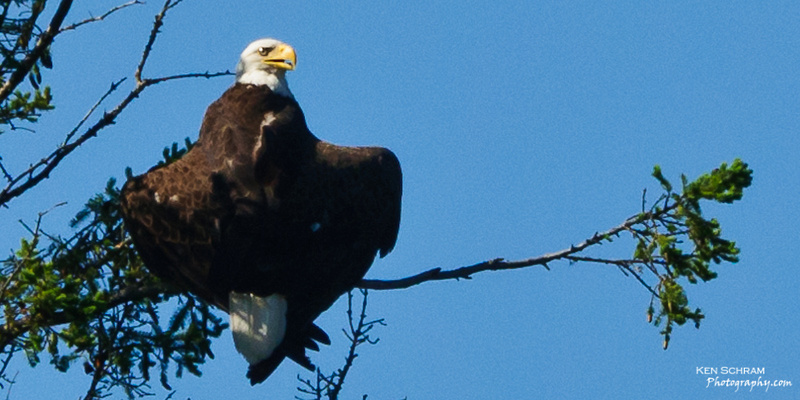 For the second time in as many weeks, I was able to capture an image of a bald eagle holding this pose, which I'm guessing, is a means of attempting to beat the heat. If it's not "venting", then I can only imagine it's trying to pass off one of it's many stolen watches to a smaller bird blocked from view. :-). Use your imagination to suggest a funny title for this image using the comments below.